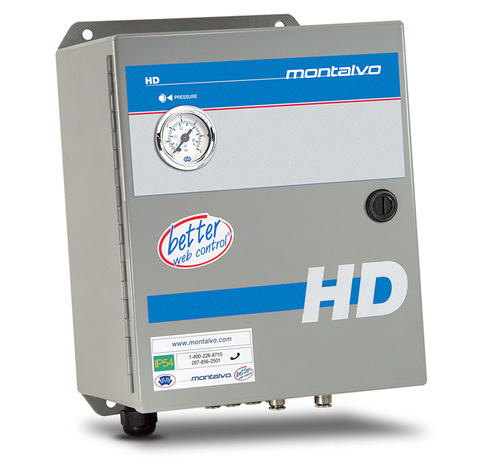 Montalvo’s elite Range Expander expands the capabilities of existing machines, allowing them to be more effective at running multiple types of materials with differing tension levels, gain greater control at lower torque ranges, run high mass rolls at lighter tensions, and run low torque and tension applications that require high torque to stop. The P-3000HD automatically switches from regulated pressure to line pressure during emergency stops or power failure. P-3000HD is available as either an automated system or can provide manual control of cylinders on multiple range brakes. Compatible with applications utilizing Load Cells or a Dancer. Large analog gauge for easily monitoring pressure. 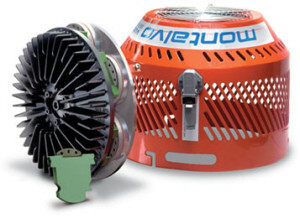 Includes 5 Micron Air Filter, MPC-4 I/P Converter, Pressure Gauge, and Multiple Range Valving. For more information on the P-3000HD Range Expander download the P-3000HD Datasheet. P-3000HD-RE Automatic Range Expanders feature 2, 3 or 4 solenoid valves for automated control of the individual friction modules on your multiple range brakes which allows your brake ranges to automatically be adjusted to the exact level of control you require. P-3000HD-DA Manual Range Expanders feature 1, 2, 3 or 4 switches for manual control of the individual friction modules on your multiple range brakes which allows you to manually adjust the brake torque ranges to the exact level of control you require. For more information on the P-3000HD please download the P-3000HD Technical Article.